Still, Mr. Davis realizes that Anthem must continue to evolve. This is especially so now that she has moved her homeport from Southampton, England to Bayonne, New Jersey in New York harbor. Her new homeport is one that Mr. Davis knows well having been Hotel Director on Explorer of the Seas, Royal's long time New York ship. When Anthem's sister ship, Quantum of the Seas, arrived in Bayonne towards the end of 2014, it did so with an innovative dining system that replaced the traditional two-seating cruise ship dining system with one which promised that guests would be able to dine in any of four complimentary themed-restaurants whenever the guest wanted. The idea was to give the guests more and better choices. However, in the beginning, Dynamic Dining was troubled with technological and operational problems that earned it much criticism. Furthermore, Royal found that many loyal customers were sad to see the traditional system go. Royal calls this option “Dynamic Dining Classic.” The original Dynamic Dining system has been renamed “Dynamic Dining Choice.” Anthem, at the moment, offers both options. Guests who dislike Dynamic Dining Chice primarily say that they miss the rapport that develops between the guests and the staff that develops when you have the same waiter each night of the cruise. It should be noted that Royal did not introduce Dynamic Dining as a cost saving measure. Dynamic Dining is actually a more complex system than the traditional system. One change that has already taken place is that the Devonly Decadence restaurant has been replaced by the Solarium Bistro. When Quantum entered service, one of the dining venues was an extra-tariff specialty restaurant created by celebrity chef Devon Alexander that featured healthy dining. Due to tepid demand, it was made a complimentary restaurant a few months later on Quantum and Anthem entered service with Devonly Decadence as a complimentary venue. This does not mean Royal Caribbean has ignored the fact that the audiences watching the shows on cruises out of Bayonne are different than those on cruises out of Southampton. For example, the West End – Broadway style show is We Will Rock You. Going forward, Anthem faces both internal and external challenges. 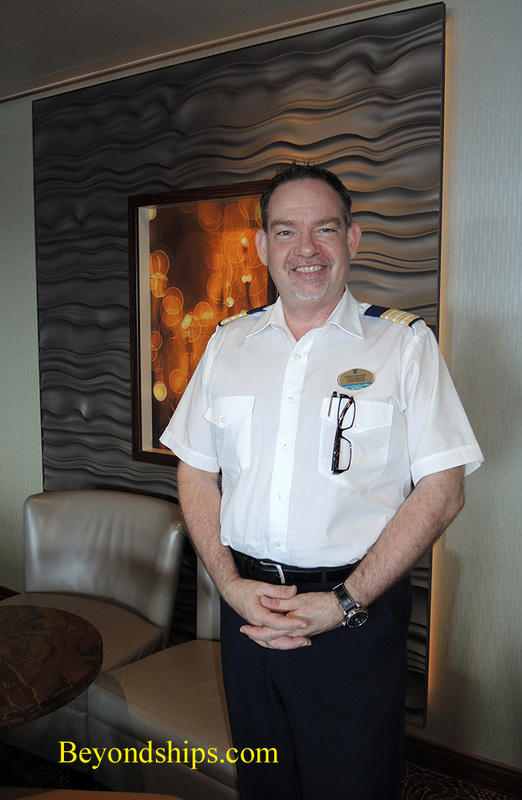 Mr. Davis is confident in Royal Caribbean's and Anthem's ability to handle these challenges. In 2016, two new Royal Caribbean ships will enter service. 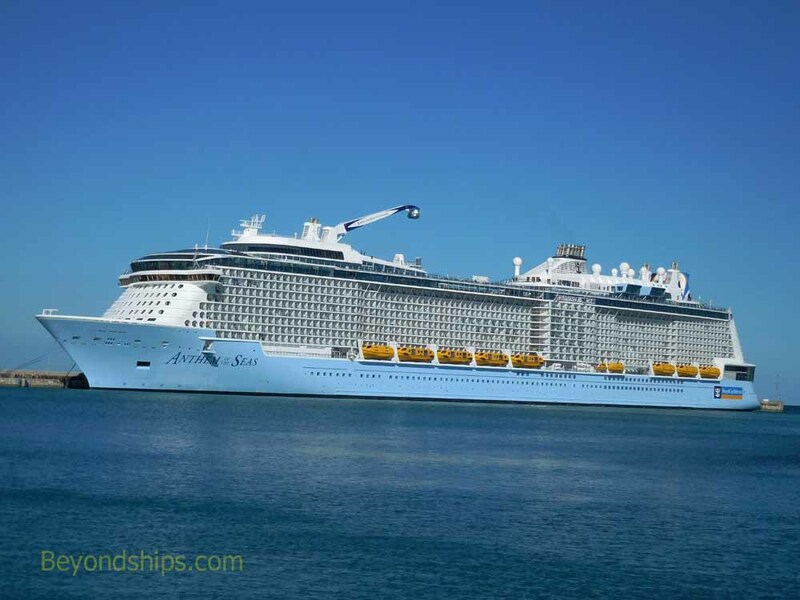 Both will be giants - - Harmony of the Seas will be an Oasis class ship and Ovation of the Seas will be a sister ship to Anthem of the Seas. 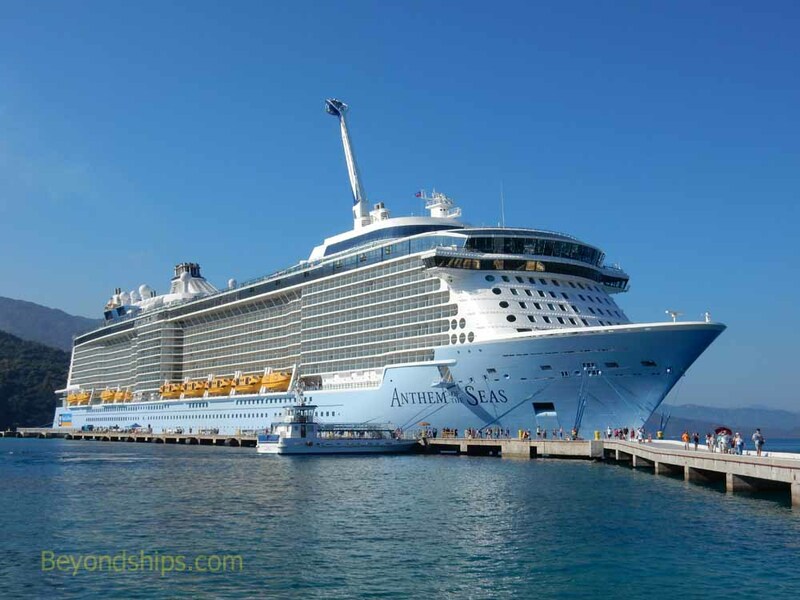 Both ships will have to be staffed, primarily with experienced Royal Caribbean personnel taken from its existing ships. Antehm is not the only ship sailing out of New York harbor on a year-round basis. Across the river in Manhattan is Norwegian Cruise Line's Norwegian Breakaway. Both ships were built in the same shipyard, both are new ships and while Breakaway is not as big as Anthem, she is not much smaller. Mr. Davis has a personal goal for Anthem. “Sometimes people turn around and say that she doesn't feel like a Royal Caribbean ship. I'd like us to prove that she is."